Team Morgan it’s time – you are all needed, please lend her your help! And we have one, many actually… and you are all part of it! When our family needed that extra strength and hope, so many wonderful people offered to help us in our quest for justice for Morgan. Some of you have called yourselves, “Team Morgan,” and in my own mind I have always thought of you as earth angels! I have been so grateful for every single offer of help and support. We have been so fortunate to have assistance in so many differing areas of expertise. Exposing the truth would never have come this far without all of it. And now as Morgan’s case takes another step forward I invite everyone to join in. 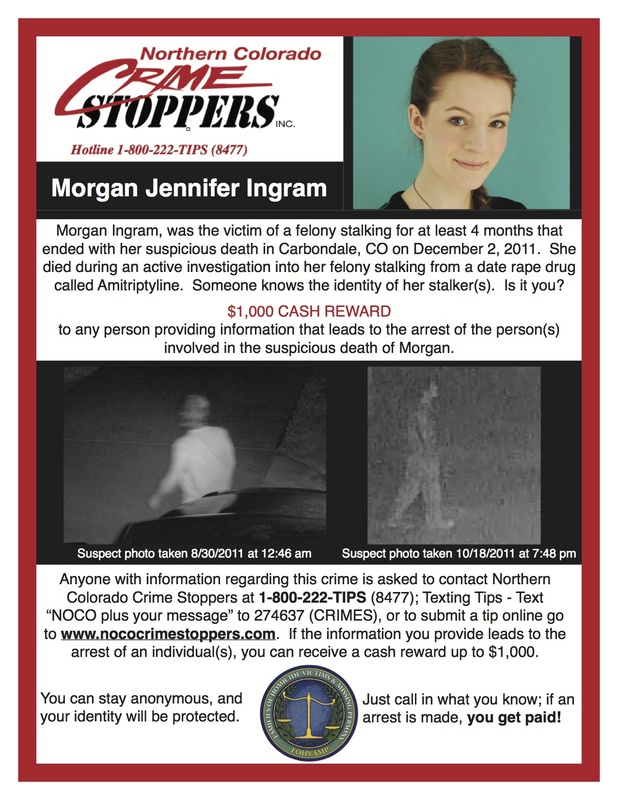 I am extremely happy to announce that Northern Colorado Crime Stoppers, along with help from Families of Homicide and Missing Persons (FOHVAMP) is now circulating a reward poster for any information leading to the arrest of the person(s) involved in the unsolved homicide of our 20 year old daughter Morgan Ingram on December 2, 2011. If every single one of you could please share this post with anyone, and everyone you know, I would greatly appreciate it. I know there are people that know what happened to Morgan, and those people also know who is responsible. We want those people to come forward to help solve this crime. This is their chance to do the right thing, and to no longer hide in the shadows. Sometimes people think that what they know will not make a difference, but rest assured every single small piece of information will help to tell the whole story. Finding the piece that will finally tip the scale for Morgan is something I will never stop fighting for. I have heard many stories of the threats made against, “snitches,” so far, and if you feel unable or fearful to speak your truth, then please know I have been assured you can remain absolutely anonymous. Personally I feel that if you are forced to swallow the truth and keep it inside, then it eats at you. It’s nature’s law. I would like people to know that when you let the truth out the feeling you get is awesome and liberating! I myself have wanted to desperately get out all the details, facts, and evidence that we have gathered over the past years, but I have had to hold back (from this blog) on a lot of information in the hopes that it can be used in a criminal case someday. At times I admit I have let my anger get the best of me. I could say, “What parent wouldn’t be angry?” but instead I would like to say because of Steve I have been blessed – he has held me back and shown me that sharing all the brutal ugliness we have uncovered is just not always helpful, and not always necessary, not yet anyway. Things happen for a reason and they happen when they are suppose to happen…not just when I want them to happen. What I have learned over the years is that justice is not going to come through anger or ego, only through facts, so I do the best I can to keep mine in check. Facts come out at the correct time, not when I want them to, but when they should be released. 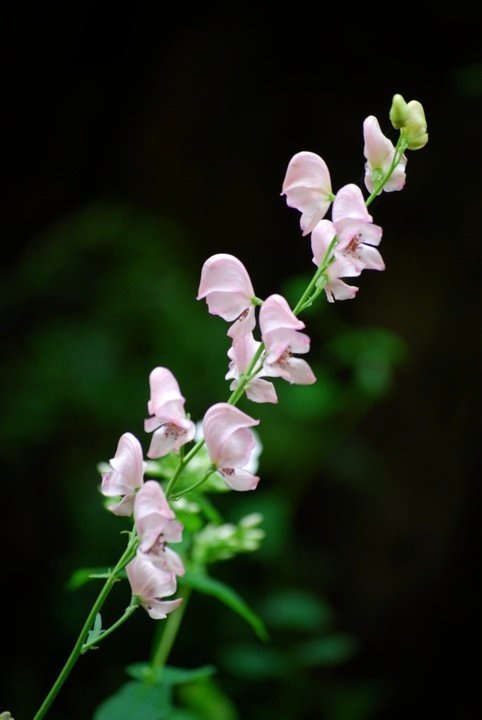 I can never stress enough, both to myself and to everyone whom I have contact with that my efforts are not only about the loss of our precious daughter, but about all the wrongs being perpetrated on other innocent victims every day, and what needs to change to prevent this from happening again. Unfortunately, and horribly there are so many stories of many other people who are suffering, or have suffered great personal loss themselves. What happened to Morgan is not an isolated case, while I pray the cover-up that has followed is an isolated case. For the good of all, this has to stop somewhere. The simple yet overwhelming truth is that for Morgan to have justice someday, unpleasant truths will eventually have to have to come out, and visit the light of day. It should not be much of a stretch to see that this will be unpleasant for some, and for others it is something that they will want to avoid at all costs. To those I say that for Morgan to have been victimized, then murdered, only to be victimized again, was horrific for her, and all those who knew and loved her so much. The knowledge that pursuing justice for Morgan will lead to a very needed change in the way victims and co-victims are treated in the future is extremely important to me, and I know it would have been so important to Morgan as well. I know that this fight for justice is not only being waged by Morgan’s family and friends, but also by complete strangers that want to help make changes for the better in this world – I will probably never be able to explain it except to say there are forces at work that have been making the impossible possible in this fight. So please I am asking you all now to share this blog, and this poster in any way you can. This is a very powerful way you can help find justice for Morgan. You can even print the poster and hang it anywhere you think it may be seen by people that may know something. Especially in Newcastle, Glenwood Springs, Carbondale, Basalt, and Aspen, CO. Coffee shops, sports shops, churches, grocery stores, colleges, anywhere that they will allow you to post this. Thank you all so very much – with much love from the bottom of my heart! Please help – Justice for Morgan! ***Criminals do “trip up” – they can’t help themselves…just found out that on 3/16/2014 Keenan was arrested again, it was in the local newspaper listed under recent crimes, posted by the Glenwood Springs Police (not the sheriffs). His criminal record keeps growing, but for some reason he seems to be “protected” and nothing ever really happens to him – this is a question I continually ask myself. Today is the National Day of Remembrance for Murder Victims – I would like everyone to know that Morgan will be represented during this presentation. My sincere thanks to FOHVAMP and COVA for including her, even though Steve and I can not be present. Location: Plaza in front of the Denver Crime Laboratory, 1371 Cherokee Street, Denver. For a map of parking lots in the area with rates please click here. Families of murder victims are encouraged to bring a picture of their loved one to display. A representative from each family may present the name of their loved one, date of birth, and date of death at the microphone. September 25th was chosen to honor POMC founders Robert and Charlotte Hullinger of Cincinnati, Ohio, whose daughter was murdered on that date in 1978. THE ANNUAL EVENT IS CO-SPONSORED BY: The Front Range Chapter of Parents of Murdered Children, Voices of Victims, Denver Police Department Victim Assistance Unit, Mothers Against Drunk Driving (MADD), Families of Homicide Victims and Missing Persons, Rocky Mountain Victim Law Center, Denver District Attorney’s Office, Attorney General’s Office, Division of Criminal Justice, and COVA.